When coral is worn away from a reef and breaks off into pieces, these pieces are what we call ‘live rock’. After being washed into shallow water by storms and waves, the rocks are then colonized by bacteria, corals, and other organisms. This type of rock can be found in any ocean waters where reefs are found. Depending upon which ocean the rock is taken from, it can have different properties, including varying levels of porosity and bacteria, and different formations. Before we delve further into the details of live rock, it’s important to understand one main differentiating factor between many types of rocks that can be purchased for your aquarium. You may be tempted to sway towards products that are at the cheaper end of the spectrum; however, these are often something called ‘base rock’, also often known as ‘life rock’. Live rock means a rock that has bacteria, coral and other organisms, and often comes ready-cured, whereas ‘life’ rock does not. It’s easy to find places in which to buy a variety of types of live rock, but both online and offline retailers can vary in the types that they sell, the price they charge, and the quality of product offered. At The Spruce have listed out some points to consider when purchasing live rock from a shop or online store. ARC Reef Dry Base Rock for Saltwater Aquariums, 10 lbs. Curing live rocks can be time-consuming, so you should ideally purchase a separate tank in which to cure them. Alternatively, if you plan on curing the rocks in your main aquarium, then you should wait until after you have done so to add any fish. Some stores may try to push you into buying more product than you need; this is a problem that wouldn’t affect you if you were buying from a website. Research the amount of rock required for your tank before going into any stores and you can approach retailers with greater confidence around your requirements. Many aquarists believe that the rule of 1-2 pounds of rock to every gallon of water is a safe rule to follow. Unlike dry rocks purchased online, live rock bought in a store is usually wet. Examine the rock carefully for any die-off or odor that could signify that the rock is still being cured. This could make it more difficult to prepare the rock adequately yourself at home. If you’re concerned about environmental impact, you may wish to ask about the geographical area from which the rock originated. Sustainable sources include extinct reefs and dry-land that was once underwater. Reputable sources should be using sustainable means to obtain their products, but sometimes it may not always be the case. Consider how porous the rocks are; some have a greater void space than others, something that is essential for the proliferation of bacteria once in your tank. Less porous rocks are also heavier, which may make them harder to position and balance within the aquarium. Examine the description of each product that you consider, paying attention to words such as ‘uncured’ or ‘fresh’, which can mean that the rock requires a full curing cycle prior to addition into your aquarium. 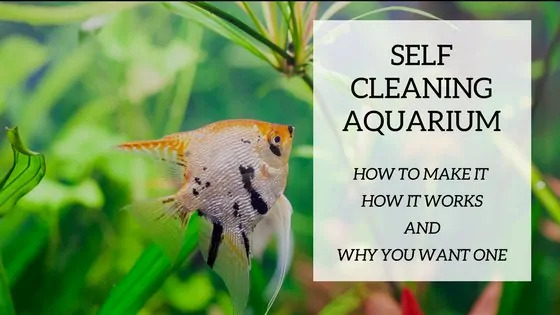 Conversely, ‘cured’ or ‘cycled’ usually mean that this has already been done, and the rock can likely be placed straight into your aquarium without issue. Look at what postage and packaging methods are used by the retailer and read customer reviews to see whether they offer any insight into the packaging process. Live rocks, particularly those that are mostly coral, are very delicate and could suffer breakages in transit if not adequately protected by the seller. By using live rock within your saltwater aquarium, you can take away the need for a traditional mechanical filter, whilst simultaneously giving the tank a more authentic, natural look, and providing shelter and exploration space for the inhabitants of your aquarium. Most people find live rock to be superior to mechanical filters in encouraging the large-scale growth of bacteria that helps to speed up the nitrogen cycle. Good-quality live rock has greater levels of porosity, meaning more bacteria, which means a better quality of water in your tank. This is also a much more natural and aesthetically pleasing means of filtering your tank water. Some of the better products come with an abundance of nitrifying and denitrifying bacteria already present on the rock, which typically vastly reduces the time taken to cycle your tank. In this case, you should avoid ‘base rock’, though bear in mind that bacteria-rich products will typically be more expensive. Live rocks are essentially made from compressed skeletons of dead corals, which have largely calcified over hundreds of years. By introducing these to your tank, the calcium will dissipate into the water over time, balancing the pH levels in your aquarium. This can help to reduce the amount of tank maintenance required in the long term. There are many distinct species of marine fish that can be purchased for your aquarium. Some are more brazen than others, whereas some will require a place to feel safe and secure in the tank, away from other fish. Live rock and coral, when stacked and arranged in a group, can provide such shelter for these inhabitants. It can be much more expensive to establish an aquarium using live rock as opposed to artificial aquascaping. You can use simple dry rock or base rock if you introduce it in the correct manner, but it will take longer to realize the same benefits, as bacteria will have to develop. Though in the long run live rock will bring more balance to the water chemistry in your aquarium, when it is first introduced, it’s likely to throw the balance off as the ammonia levels increase for a brief period. It’s best to carefully monitor the water chemistry during this time. Harvesting live rock from existing, living coral reefs is not a sustainable process. Though most sellers take steps to avoid this practice, such as harvesting from extinct reef systems, you should always look into the source of a seller’s live rock if you are concerned about preservation. This is, however, less of a problem than it used to be. Prior to adding a live rock to your tank, it needs to go through a process known as ‘curing’. When live rock is harvested and exposed to air, there is always going to be a level of ‘die-off’, where some of the organisms on the coral die. 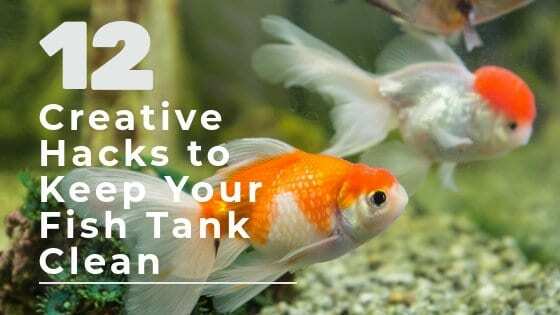 This results in waste materials that could be detrimental to your aquarium’s ecosystem if added immediately to the tank without being cured first. Curing the rock will remove any toxins and harmful materials that could cause your fish to become ill or even die. The curing process is simple. The biggest inconvenience is likely to be in what equipment you use to carry out the process. In the absence of a second tank, you may need to use your main aquarium, which would mean curing your rocks before purchasing any fish. 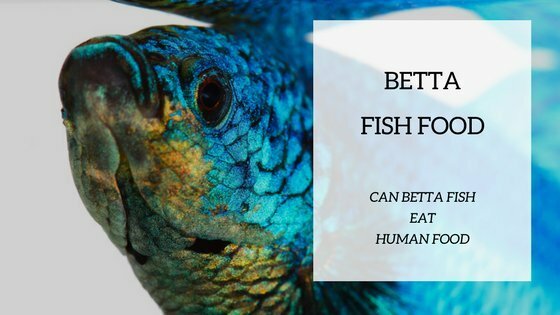 If you already have a working aquarium and wish to add live rock to it, then you’ll need another tank or container in which to carry out the curing, so that the health of your fish does not suffer. If we assume that you have an empty tank in which to carry out the process, then your new live rock(s) should be placed into the tank, and the water topped up to its usual level. Only the heater and pump are required to keep the water flowing. Nitrite and ammonia levels should then be routinely measured until the readings come back as zero, at which point your tank is ready to receive its first inhabitants. If you want to learn more on how to start a saltwater tank we have a step to step guide here. This live rock is sourced from a variety of sustainable natural sites in the Western Pacific Ocean. It is not simply an ornamental piece; the rock is packaged with a range of beneficial bacteria that occur naturally out in the ocean, which help to create a biological ecosystem within your aquarium. In a nutshell, this rock can effectively act as a natural filter to your saltwater fish tank, either supplementing or completely replacing a mechanical filter, depending upon the size of the habitat. Within a package, you can expect anywhere up to around 50 pounds of rock, despite the title promising just 40. This rock is ideal for any new aquarist venturing freshly into the world of saltwater aquariums. For your money, the volume of rock that you get is typically better than many other alternatives. Quality control can be inconsistent, with some batches being tougher to clean off prior to use, but on the whole, it is a decent quality product that offers real value for money. Just be sure to thoroughly clear out the numerous pores on the rock prior to use, as there tends to be a considerable amount of build-up. Nature’s Ocean Rocks are 100% aragonite rocks, with a large number of crevices for the proliferation of bacteria ecosystems within a marine aquarium. Its unique shape allows easy stacking of multiple rocks within a tank, allowing you to create intricate formations that can form the basis of a natural filtration system, reducing nitrate levels in the water. With 40 pounds of rock for a low price, this product provides a lot of value for money. The Nature’s Ocean 12-Inch Coral comes in a 40-pound package, split into 2 different units, so you can build a full reef system in your saltwater aquarium. These rocks can be cycled and turned into a natural filtration system with a little time and attention. The high level of porosity will ensure that the rock becomes bacteria-rich over time. 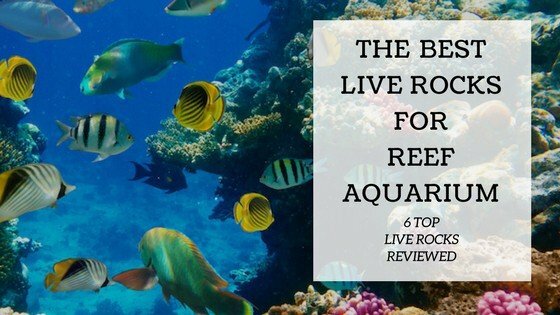 The CaribSea Aquatics Life Rock is not specifically a ‘Live Rock’. Though naturally-sourced, it is painted with a bacteria coating that becomes active once cycled into a live tank. The result is that the rock can replace mechanical filtration systems. With the CaribSea rocks, you get many pieces, usually between 4-6, which provide enough coverage to create intricate designs within your aquarium for your fish to explore. One of the best things about this product is that you’ll often get between 4 and 6 rocks from the seller. If your intention is to create a prolific source of bacteria to support a natural filtration system, or an abundance of coral in your marine tank, then the CaribSea is ideal, with its large amount of porosity and large surface area spread across numerous rocks. Though this isn’t true live rock, the bacteria are activated once the rocks are submerged into water within your tank. The ARC Reef Base Rock is a 10-pound live rock with an extremely porous natural formation. This makes it perfect for creating a bacteria-rich natural filtration system. Requiring no curing, the rock can go straight into your saltwater aquarium. What’s more, each rock has additional holes drilled into it prior to sale, which are ready to receive coral frag plugs, meaning it’s really simple to create a coral reef, regardless of how you stack your rocks. The ARC Reef Rock is highly-porous, though this is further increased through the use of holes drilled into the rock by the seller, creating a rock that has a very large surface area on which bacteria can grow. Sizing can be a little inconsistent throughout batches, but this is only a minor issue. Having been cured prior to delivery, this rock can go directly into your aquarium after being briefly washed, saving you time and removing the need for you to have any additional equipment for the curing process. This Largo Dry Rock is sourced from a natural, sustainable environment. The product does not come from a live marine environment; rather, it is sourced from an extinct reef system located on dry land, which means that it is highly sustainable and does not damage any live reef ecosystems. As a result, you do get less product for your money when compared to other, synthetic products. Though rocks mined from dry land tend to be dirtier, with more biological material blocking crevices and pores, they can be cleaned out. Owing to the fact that this MarcoRocks product is sourced from a natural environment, it is one of the products on our list that could be considered as being closest to a live rock. The high volume of void space in this naturally occurring rock makes it ideal as a natural filtration system, once it has been allowed to cycle and natural bacteria has formed. Typically, it costs more to pick up a naturally-sourced live rock as opposed to a manmade version, but you do get a more authentic rock for your money. The Alternative Reef Shelf is unique in its design when it comes to positioning the rock in your aquarium. Though the rock is handmade rather than being natural, this does result in one benefit that wouldn’t be possible with a non-synthetic product. Using magnets that come together inside and outside of the tank glass, the shelf can be suspended on the side of the glass, including when submerged completely underwater, without affecting the magnetic ability of the mounted discs. At approximately 6-inches long, 4-inches wide and 1.5-3-inches thick, the reef shelf would fit comfortably as either a mounted shelf, or amongst a collection of other live or manmade imitation rocks. Though you get less for your money than you would with other imitation rocks, you’re gaining more choice around how you position the rock inside your tank. This means that you can set up a coral reef that will offer a protected, secure home for any species of fish that require this type of environment. There are many factors to consider in your search for live rock, such as porosity, whether the rock(s) are cured or uncured, and the amount and size of rocks that you need. Though mechanical filtration systems are available for both fresh and salt water aquariums, establishing a coral reef as a biological filter can be a more attractive option, whilst also providing your tank’s inhabitants with secure space and a more natural environment. If you decide to use live rock in your marine aquarium, then you’ll want to carefully consider the type of rock that you buy. When purchasing rocks that have not yet been cured, you’ll need to ensure that you have sufficient space for the curing process to take place, whether this be in your main tank prior to adding fish, or in a separate tank. Otherwise, for ready-cured live rock, you can begin creating your new coral reef system straight away.